﻿﻿﻿One "religion", the religion of CLIENTS. ​Two key factors : product quality and excellence of service. The fact is only 5% of pearls produced by pearl farmers in French Polynesia are round shape and 2% exceptionnal, we are not pearl farmer and that’s why we don’t get the constraint to sell all our production, we only choose the best pearls from biggest pearl wholesalers worldwide. Our experience with a pearl farmer from Tahiti confirmed us in this position. 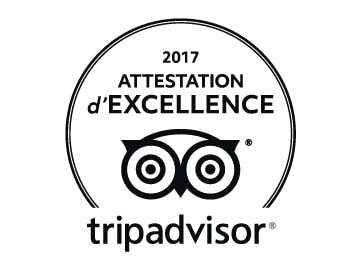 After our Japanese partners, our French experts select only the best quality. Each pearl comes with a certificate of authenticity (and we can tell you all about its pedigree). ​M. Legrand jewels are handmade - not manufactured. 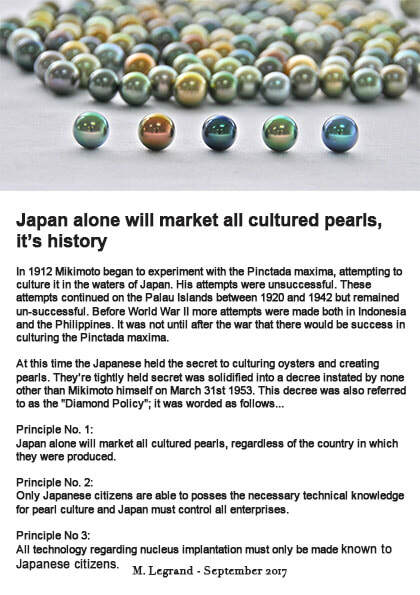 As every pearl is unique, every single item is designed and crafted by people, not by machines. Therefore, no two items are the same. Just as no two persons are the same. The particularity of M. Legrand is to offer authentic cultured pearls with high quality settings, designed in Paris. You choose your pearl, your setting, your material (gold, silver, leather and more) and we mount your very unique jewelry on site. A price example? From 8USD (180.000VND), you have a real pearl and from 40USD (900.000 VND) a beautiful pendant in 925 Italian silver white gold plated. If your idea is to own a truly unique Golden South Sea, White South Sea, Tahitian pearl strand, at M. Legrand Jewelry, you can find the most exclusive strand up to 200.000USD (billions of VND). The first reviews are very positive, all the customers who enters the store find it exquisite and state that our products are really “One of a kind!”, says M. LEGRAND before detailing “We take time to explain to our customers how pearls are produced, where they come from, how we work, because we are convinced that clientele is aware and needs to really understand the value of an authentic pearl. And for every customer, we intend to offer the same French experience ». After nearly 4 years since our opening, we are very proud to receive our loyal customers worldwide, most of them became our friends and we are honored to participate at every important moment of their life, like a gift for fiancailles, a wedding, an anniversary ... It is really what motivates us to always do our best to "make it happen", continues M. Legrand with real pleasure. Many stories to share with you, we can talk about for a while. An example? Sunday is our closing day, an Australian customer contacted us via the website and he needed a gift for his wife's 50th birthday. We opened the jewelry specially for him. A necklace and a pair of earrings were made and delivered at their hotel, with a bottle of French champagne because we want to be part of this important event. The roots of M. Legrand Jewelry lead back to 1995 when she came back to Vietnam and can not find a jewelry like in France, an idea of business emerged. Working in Paris, she accumulated professional experiences in leading retail company, BtoB services and luxury sector during more than 20 years and always in manager position. In 2013, M. Legrand opened a jewelry dedicated to Tahitian Pearl with partners, pearl farmer from Tahiti. More than an year later, learning from clients, the strategy has evolved. In Asia, they don't know Tahitian Pearl and prefer white or golden color. It is useless to have thousand necklaces in store if client can not find her pearl necklace. Since 2015, Golden South Sea, White South Sea, Tahitian, Akoya and Freshwater pearls are available at M. Legrand Jewelry Da Nang. To deliver high quality products at affordable prices and excellence of service is our mission and DNA. Now, we are ready and opened to partners for our development. We are looking for real partners sharing our passion for pearl and luxury retail, because developing a company is not only financial matters. One company, one vision "to deliver superior jewels to more and more people around the world". The success a growth story continues.